I took my inspiration for the layout from this super-clean card I found on Pinterest. I love design like this - so easy to use over and over for different occasions just by changing colours and the 'button' element. I masked the thin line and sponged it with Night of Navy and Tempting Turquoise, blending them well. 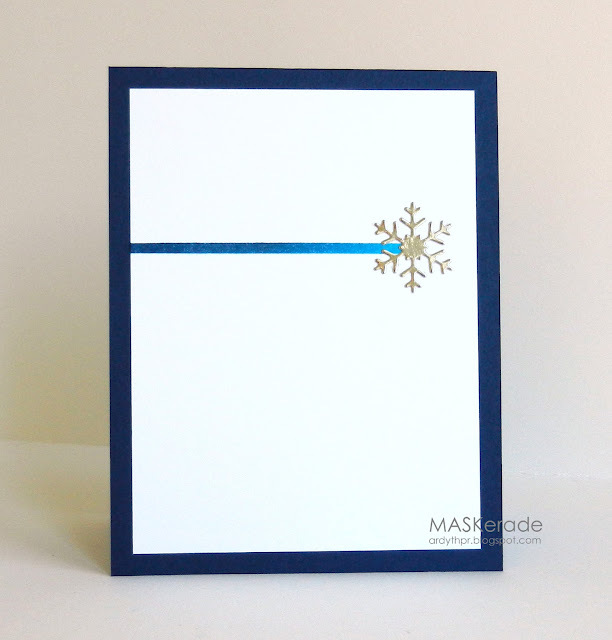 Then I I cut and adhered MFT snowflake out of silver mirror card. I decided to preserve the peaceful feeling by leaving the front without a sentiment, but I stamped one on the inside. 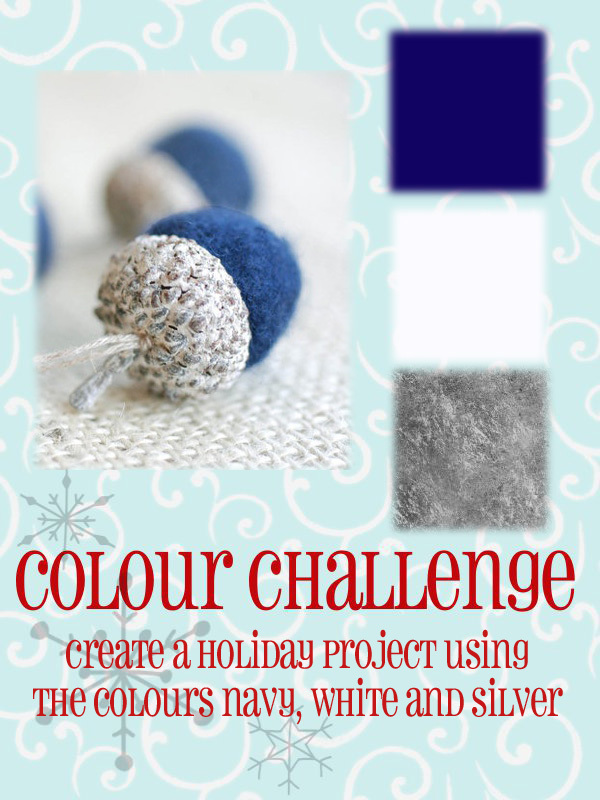 There's still time for you to play along - link up before the deadline on Wednesday! ETA 4:25 pm - I've turned off commenting on this post - I'm sorry, but I've had about 25 spam comments on this post today so far. The masked thin line is so striking and crisp. Love this card! Holy gorgeousness. I love this Ardyth! So striking and elegant, genius! 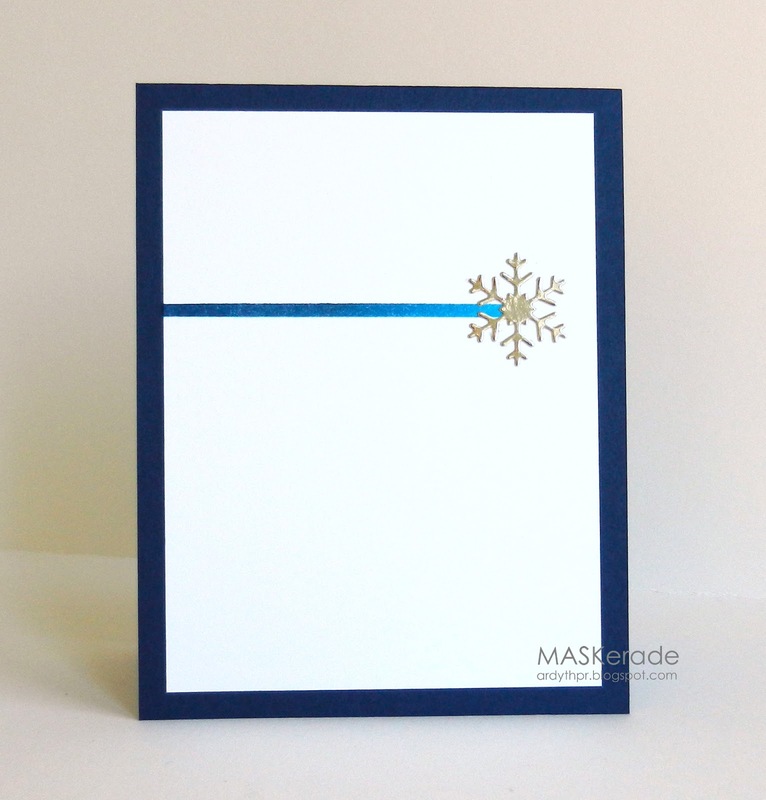 Another beautiful and elegant card. Your new hairstyle is great. Stunning white space with an awesome wee pop of gorgeousness! Super-CAS!! I love the gradation of the line. BREATHTAKING! Love this Ardyth. Brilliantly done, so striking.!! !